Jeff King believes in doing things right the first time. 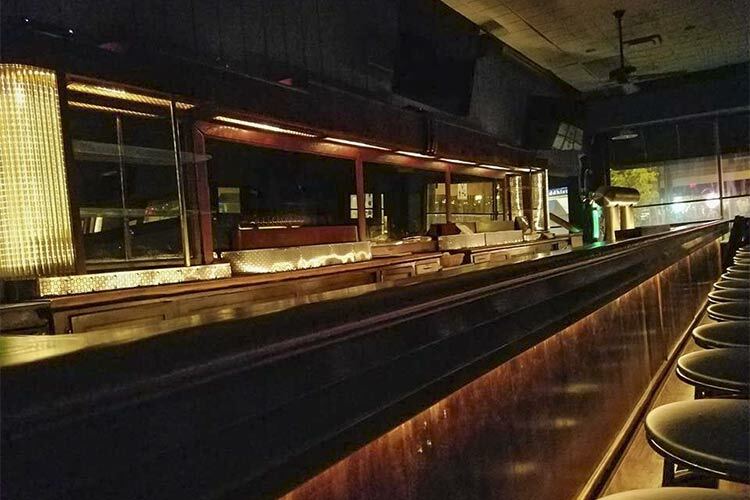 That philosophy may have put him and his business partner, Brad Poe, more than a year behind schedule in opening the new Kensington Pub (2260 Lee Road, Cleveland Heights), but King says they are finally ready to open. King has scrubbed the former Tavern Company location from top to bottom; renovated both the bar area, dining room, and bathrooms; and updated the kitchen. The Kensington Pub is now ready for its close-up. “It’s reflection of a lot of hard work—a year and four months of work,” King says. The Pub has passed all inspections, most of the staff has been hired, and King says they will open—finally—sometime in February. He promises this to all the potential customers who keep asking him when they will open. King and Poe bought the bar in September 2017 after its previous tenant, Tavern Company owner Chris Armington, moved his bar down the street to the former Colony space. They planned to open by Thanksgiving 2017, then by St. Patrick’s Day 2018. But construction projects, structural issues, and Cleveland Heights’ storefront renovation program on the west side of Lee Road (through which the pub’s landlord installed all new windows) kept delaying the opening. Aside from the new windows in the front of the building on the Lee Road side, a line of windows now opens up the Kensington Road side, while exterior lighting around all sides and entrances adds to the new look while keeping it safe. Indoors, behind the bar, the vintage lighting glows and highlights the refinished bar in the 800-square-foot main dining room. New ice bins and tap guns are installed. King replaced the rotting bar footrest and installed under-bar lighting. Dimmable lighting is going in at the front entrance. Refinished four-top tables are organized throughout both dining rooms, while King has purchased five high-top bases and is refinishing two-tops to either gather around the fireplace or place up front during busy periods. He plans on buying additional high-tops to place in the front windows and around the two dartboards of the second dining room. King also replaced the worn carpeting in the 500-square-foot second dining room and the old hardwood floors in the bar with luxury vinyl plank flooring. “There were places where you could see into the basement,” observes King. On the bar side, a subfloor and a sound cushion lay underneath the new flooring, reducing the echo in the room. On the dining room side, King removed the suspended ceiling and created a grid ceiling because he wanted to provide a more pleasant dining experience. He adorned the walls with framed pre-World War II and Netherlands East Indies coins, as well as Caribbean tradition tokens from the 17th Century. King says he also found a lot of old artwork in the basement that he has cleaned up and will hang on the walls. A new sound system will play tunes both inside and on the patio in the summer months, while a jukebox will allow customers to choose the songs after the dinner rush. Seven new televisions—five on the bar side and two on the dining room side—hang strategically so that everyone has a view of the game during big sporting events. King will concentrate most of his efforts into the kitchen, along with his chef, James Franzia, who has worked at The Fairmount on Cedar Hill and Michaelangelo’s in Little Italy. Poe will see to front-of-house and bartending duties. King says they still plan on serving food seven days a week until 2 a.m., with both a traditional pub menu (of appetizers, sandwiches, and burgers) and a more upscale menu (featuring fresh fish, steaks, and shareable sides). A weekend brunch menu will be more of a “kegs-and-eggs and bloody Marys”-style menu, although King says he’s playing around with different hash ideas and breakfast sandwiches. Everything will be made in-house from scratch, King says, including desserts. Behind the bar, the vintage lighting glows and highlights the refinished barKing has even meticulously cleaned and updated the basement—an area most patrons never even see. He refurbished two seven-foot-by-six-foot walk-in coolers (one converted into a freezer). King even overhauled a wood-planked beer cooler from the 1940s that keeps kegs at a chilly 28 degrees. He installed a glycol system that runs through the floor, up to the taps, so the beer always remains chilled. New gauges and lines ensure the old cooler keeps everything running. But now, King says everything is done, except for a few final details. 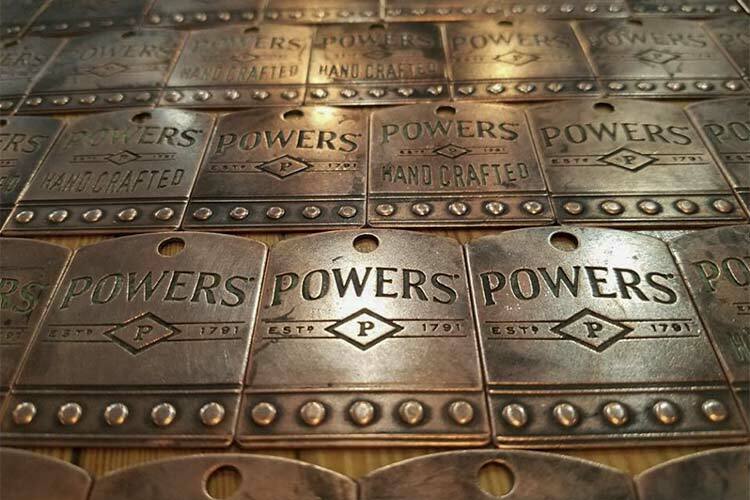 He received approval from the Cleveland Heights Architectural Review Board last month for a new, illuminated blade sign that has been ordered and will be installed on the bar’s exterior corner. 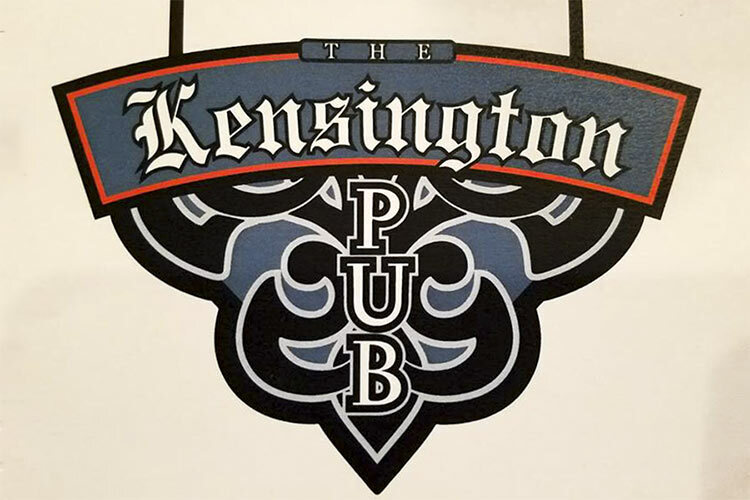 King says Kensington Pub will open in a couple of weeks, even if the sign doesn’t arrive in time. He knows people are getting impatient, but he says he hopes all will be forgiven when he opens the door.